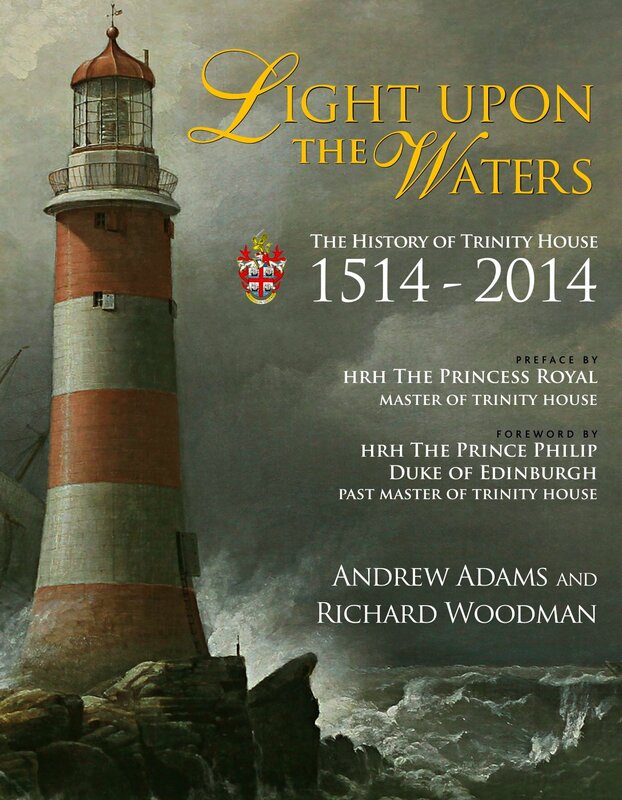 This splendid coffee-table book is a commemoration of the 500 years of recorded history of the Corporation of Trinity House. It is sumptuously illustrated with over 300 images and has the royal seal of approval with a Preface by HRH The Princess Royal and a Foreword by Duke of Edinburgh. The book is also the recipient of the prestigious Mountbatten Maritime Award. Trinity House is a complex and ancient English organisation, deeply rooted in our maritime life. Today, Trinity House is very much an active player on the maritime scene, its main roles are as a Guild or Fraternity of mariners, a maritime charity, a licensor of deep sea pilots and a provider of offshore aids to navigation. It was granted a Royal Charter by Henry VIII in 1514. A revised charter from James II dates from 1685 and essentially forms the basis of Trinity House as we know it in the modern era. The book’s authors are well chosen. Andrew Adams was a boy seaman when he joined Trinity House in 1963. During his over 40-year career he gained a wide experience afloat, becoming Chief Pilot in the Port of Harwich, and an RNR Captain and Nautical Adviser. He is a Younger Brother (1) of Trinity House. Richard Woodman went to sea aged 16 and served in cargo-liners and Ocean Weather Ships before spending more than 30 years with Trinity House, several in command afloat and ashore. He was elected an Elder Brother in 2006. The book is set out in seventeen chapters, basically in date order but also covering specific themes such as the River Thames, marks and signs for the sea, pilotage, and the French Wars. Given my abiding interest in the Age of Fighting Sail, Chapter Eight, ‘The Great War with France’ was of particular appeal. In my own book Mutiny I wrote about the work of Trinity House during the bloody Nore Mutiny and was pleased to see this aspect covered in some detail. Lighthouses have long held a special attraction for me and I was intrigued with some of the fascinating details in the chapter on the Great Age of Lighthouse Construction, covering the period 1836 to 1914. 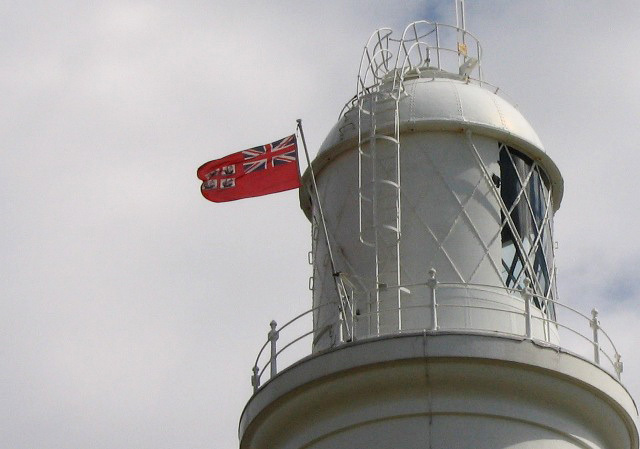 It’s of note that in 1914 Trinity House was responsible for 96 lighthouses, two manned fog-signal stations, 51 lightvessels, 509 unlit and 76 lighted oil-gas buoys. At this time lighthouses were regarded as strictly neutral, a situation respected by both sides. This was not the case in the Second World War, however, when Trinity House vessels and lightships were often strafed. This book can be enjoyed in several ways – a cover to cover reading immersion or, as I have done, a dipping into chapters of particular interest, to later return to other pages to enjoy further aspects. The authors are to be commended on this work, the definitive guide to a very British institution. It deserves a special place in the library of any student of British maritime history and culture. (1) Trinity House is ruled by a court of thirty-one Elder Brethren, presided over by a Master, at present HRH the Princess Royal. These are appointed from 300 Younger Brethren, who act as advisors and perform other duties as needed. The Younger Brethren are appointed from professionally qualified people with maritime experience. The National Maritime Museum in Greenwich, is currently hosting an exhibition ‘Guiding Lights: 500 years of Trinity House and safety at sea’. The exhibition, which offers free admission, is open until 4 January 2016. Portland Bill image: By Ian Dunster at en.wikipedia (Transferred from en.wikipedia) [GFDL (http://www.gnu.org/copyleft/fdl.html) or CC-BY-SA-3.0 http://creativecommons.org/licenses/by-sa/3.0/)%5D, from Wikimedia Commons. This work is in the public domain in the United States because it was published (or registered with the U.S. Copyright Office) before January 1, 1923. 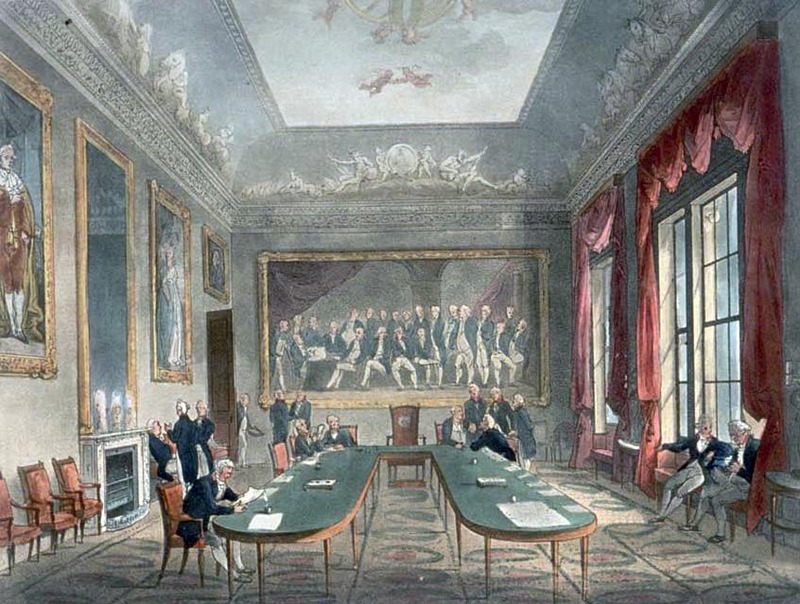 Trinity House: By Thomas Rowlandson (1756–1827) and Augustus Charles Pugin (1762–1832) (after) John Bluck (fl. 1791–1819), Joseph Constantine Stadler (fl. 1780–1812), Thomas Sutherland (1785–1838), J. Hill, and Harraden (aquatint engravers) [Public domain or Public domain], via Wikimedia Commons. This work is in the public domain in the United States because it was published (or registered with the U.S. Copyright Office) before January 1, 1923. ← The Book ‘n’ Bag Bumper Draw!